Navantia offered it's Avante 1800 corvette design. Photo taken from Navantia's product brochure. August 18, 2013- Department of National Defense (DND) announced that the the bidding process to acquire two brand new frigates is still on go. DND undersecretary for finance, munitions, installation and material Fernando Manalo said that the frigate program is still ongoing. The upcoming new frigates will cost the government P18 billion, higher than the earlier P11-billion budget. 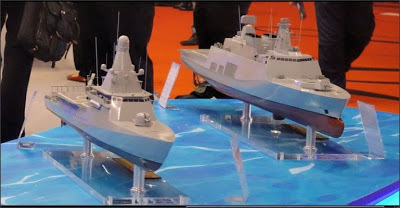 Five naval firms earlier expressed their interest to build these modern missile-firing frigates to boost the Philippines' naval capabilities in patrolling its waters. The firms are South Korea's Hyundai and Daewoo, Spain's Lavantia, West Australia's Austal and an unnamed Singaporean naval yard. 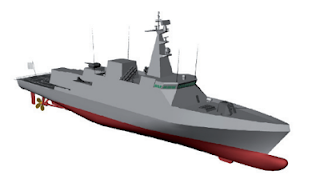 DND is open to the option of building these frigates in our local shipyard for it will generate jobs. Filipinos are world renowned shipbuilders fourth in rank after China, South Korea and Japan. Evaluation and studies on Italy's Maestrale-class frigates served as an "eye-opener" for the Navy, stating that acquisition of Maestrale will be costly in the long run. "We found out that it will be more expensive to maintain second hand vessel(s) than buying a new one," Manalo said. Alano also said that the crew of the Augusta 109 helicopters are now training in Italy to get the necessary qualifications. 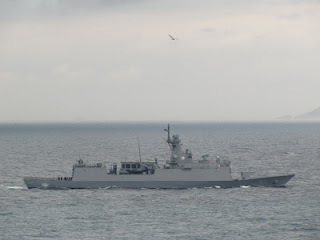 "They will be part or the extension of the vessels to increase their capability for maritime surveillance," Alano said. "Helicopters will extend the range of our awareness because we have a very large area to cover," he added.